Photographer: Txema Yeste. Model(s): Maartje Verhoef. 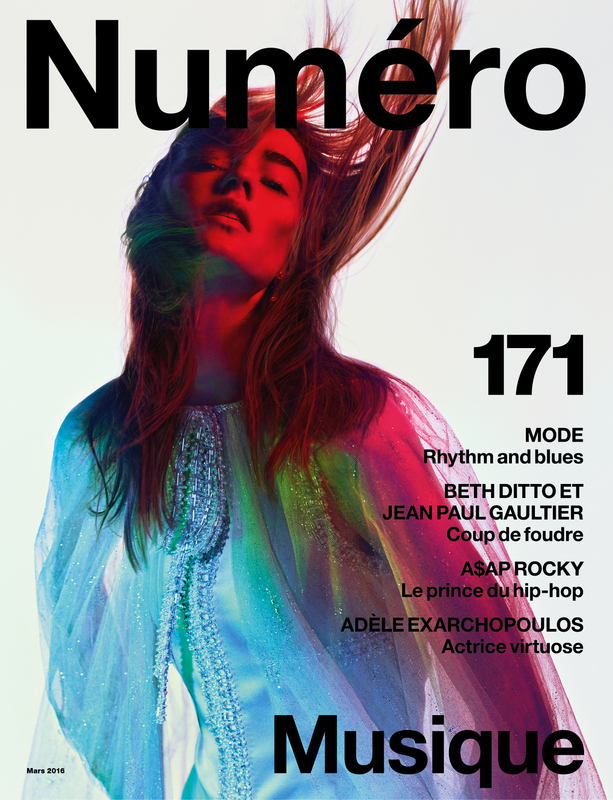 Source: Numéro Magazine. Stylist: Samuel Francois. Makeup: Lloyd Simmonds. Hair: Nicolas Jurnjack. Maartje Verhoef feels the heat in “Rhythm and blues” The Musique Issue, by Txema Yeste for Numéro #171, March 2016. 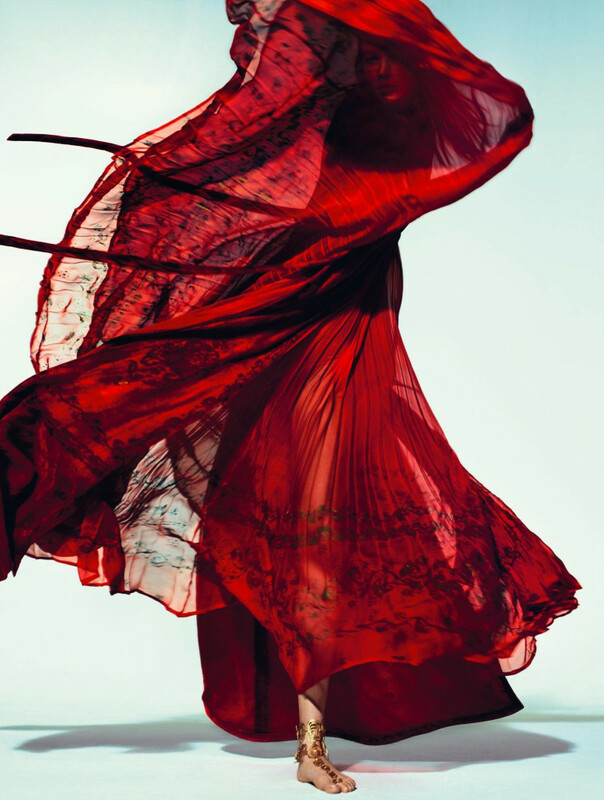 Stylist, Samuel Francois, finds the fire as red light spreads over the curves of her body. Fashion flies through the night as Chanel’s wings catch wind and dare to take flight. 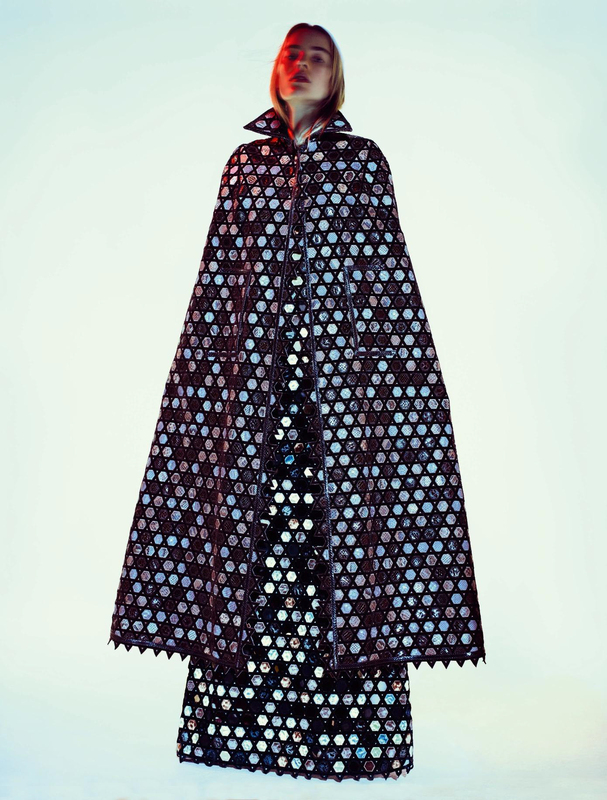 Cloaked in a matching dress and coat by Givenchy, the music plays on with a dramatic drape-cape that’s fiercely frocked. The fabric drapes in defiance, as Valentino’s “Delilah” dress demands attention as it dances over the face. 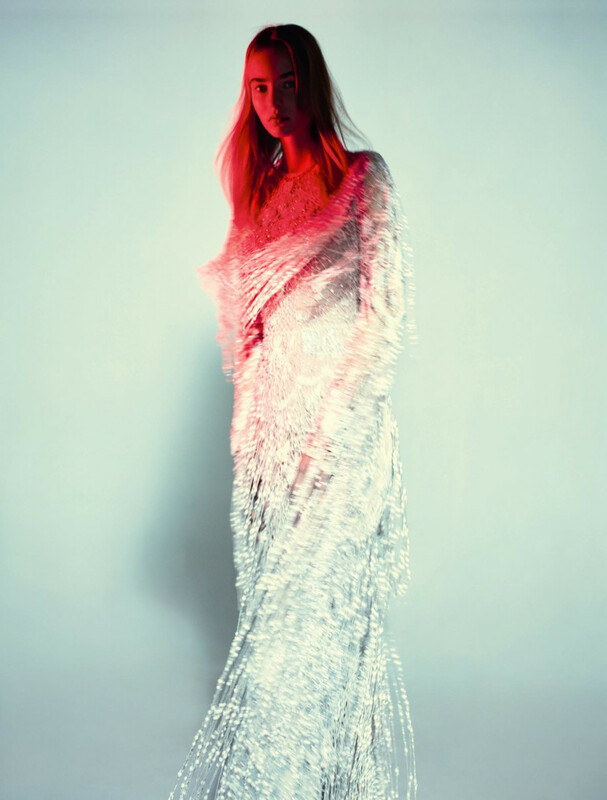 Maarje’s legs run the length of a (sideways) keyboard, poetically posing in a Swarovski covered Alexandre Vauthier gown. The fur by Gaultier Paris gets us going with meshed stockings by Repetto, as decadence meets Dockers, with gothic punk-boots covered in dueling images of silken black. 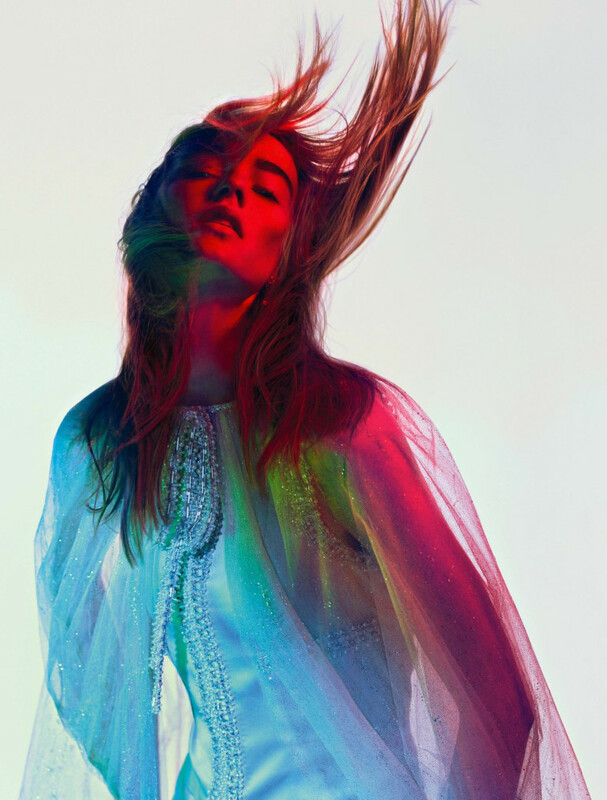 Georges Chakra’s design aesthetic mimics the ethereal nature of graphic intention, as hard/soft leave Giorgio Armani Prive to marry crystal corsage with fluid silk-tulle. Cosmetic art speaks as Lloyd Simmonds lets the music of makeup play on, as beauty burns allowing red to cast shadows over the face. Natural features come alive as naked skin is touched by light, indicating a sense of real power. From the intensity of eyes to the lusciousness of lips – Simmonds shows us that to captivate you don’t have to cover. Exposing your truth means allowing yourself a moment to just be. Nicolas Jurnjack finds that simple doesn’t mean plain, rather it describes a mindset. A chaplet of silver leaves lay over the head as fluid hair flies through the aire. Yeste mimics the Musique of modernity as each shot celebrates the craft of haute couture.